Availability: Add this item to your order or print it yourself! Something new we are offering in 2019 is the opportunity for Customers to both download and print the 2019 Product Flyer in both pdf & jpg format and/or include the Flyer in an online order. Heck, for that matter, why not have us mail you a copy mailed to you for just the cost of USPS Large Envelope postage. Options! Options! Options! 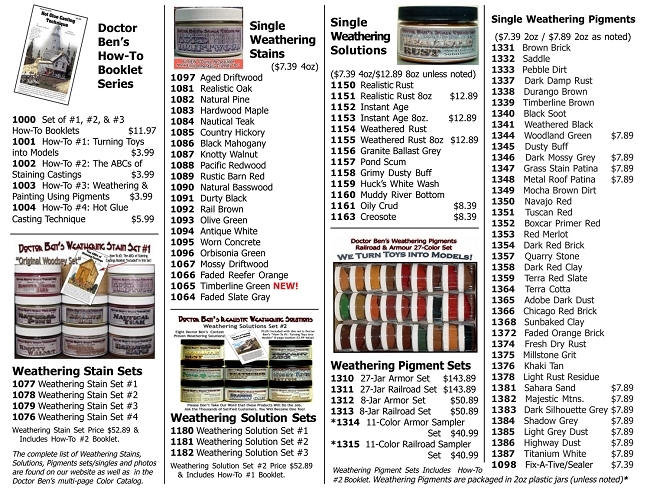 Of course, you can print out this DBSC Product Flyer on your own printer and here's how. PDF format: For those of you who are familiar with and comfortable working with Adobe pdf, then this is an easy task for you. Click on the link at the end of this topic to open and then print and or save the pdf version of the 2018 Product Flyer. Open Flyer in pdf-CLICK HERE! JPG format: For those of you who prefer working with jpg images, click on the link at the end of this topic to open and then print and or save the pdf version of the 2018 Product Flyer. NOTE: Both pages will need to be opened in order to have the front and back of the Flyer Open Flyer in Front page and then Open Flyer in back page. After you have downloaded the pdf/jpgs, select the "Double Sided Print" option on your printer and follow the printer instructions. If your printer does NOT print Double Sided, simply print the front page and then insert the Front Page back into the printer with the blank side of the paper to the direction that you printer will print on the blank side and then print the Back page. 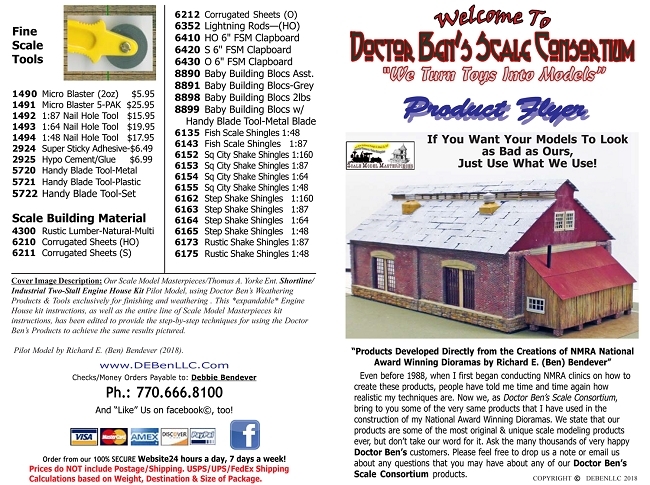 Fold the page in half and now you have your printed 2019 Product Flyer! Great job! Our Sincerest Thank You and Appreciation for Your Continued Patronage! !